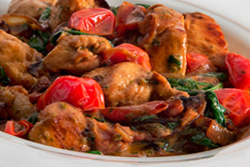 Welcome to Lesley's Recipe Archive, where you'll find all the free recipes you'll ever need. Whether you're looking for canning recipes, dessert recipes, entree dishes, or just about anything else, we have them. This site is about sharing good food so we'd love to hear from you with one of your great recipes so we can share it with everyone. Please We offer a searchable recipe site where you can search out that perfect recipe or just browse by category, or even browse the whole site from our Site Contents page. Missed the last few updates...check out What's New. We can't compete on quantity with those huge sites that have 100,000 recipes, but we hand pick our recipes and are pleased to say we can compete favourably on quality. Enjoy! Add us to Favorites / Bookmarks! 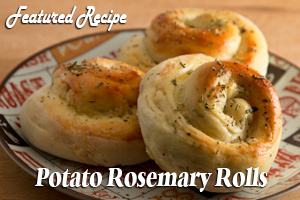 Like the name says, it's easy, as easy as cutting up a few ingredients and adding to a frying pan, delicious too! 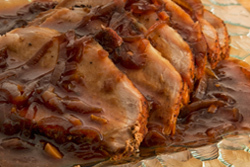 Hoisin sauce and sliced onions gives this saucy pork roast it's flavour.